This easy-to-prepare meal is an excellent dish that is very economical to make. It’s a perfect example of great-tasting home cooking tailored for busy families that don’t have a lot of time to prepare gourmet meals. I received the instructions for this recipe from my cousin. I have no idea where she got it from, but it’s been a family favorite for many years. Mix everything together and bake covered at 300 degrees for 4 ~ 4-1/2 hours. You can also prepare it in a slow cooker on medium-low heat for 6-8 hours. The meat will be done when it easily shreds with two forks. 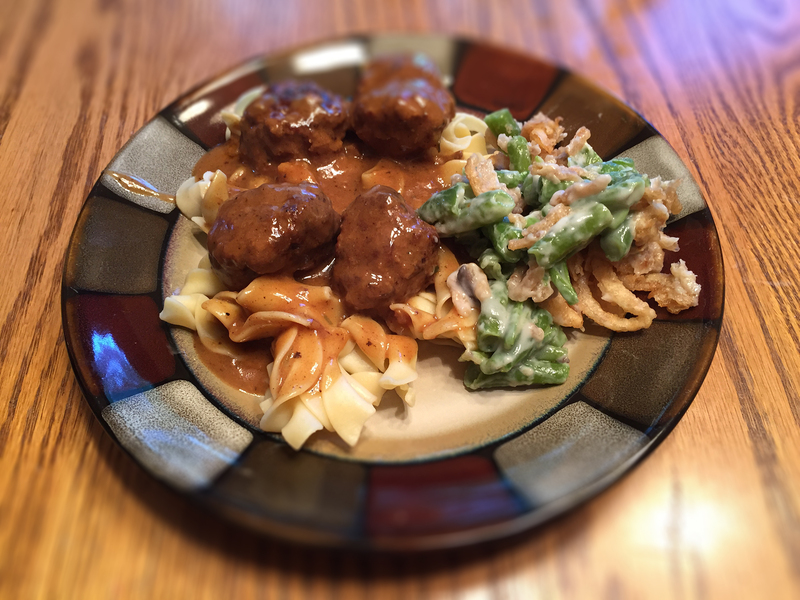 Serve over egg noodles, or shred and serve on buns with Provolone cheese and the gravy. 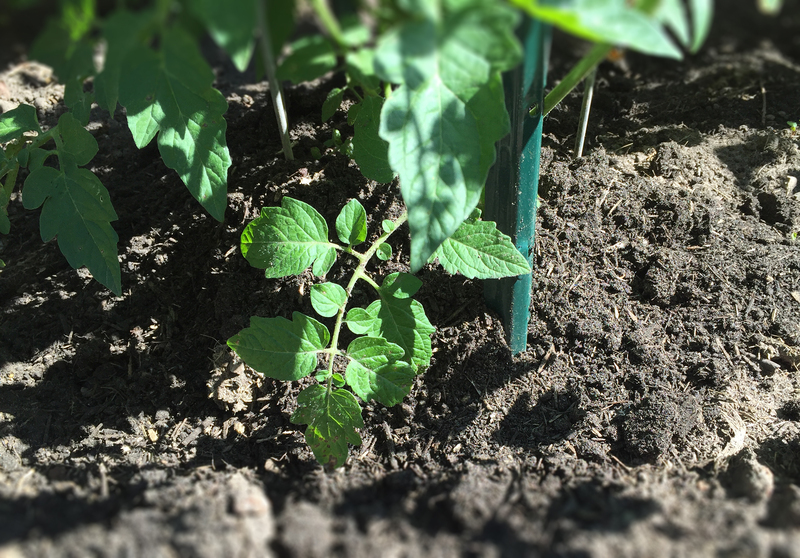 This is a super-simple side dish that my family really enjoys. You can make the pasta as shown, or dress it up with steamed spinach or sauteed vegetables, parsley, red pepper flakes and garlic. It is also a fantastic compliment to a variety of main course Italian favorites like grilled swordfish or broiled shrimp. Boil the noodles al dente, according to package instructions. Drain and add back to the pot. Melt the butter and add to the noodles. Add the sour cream, salt and pepper. 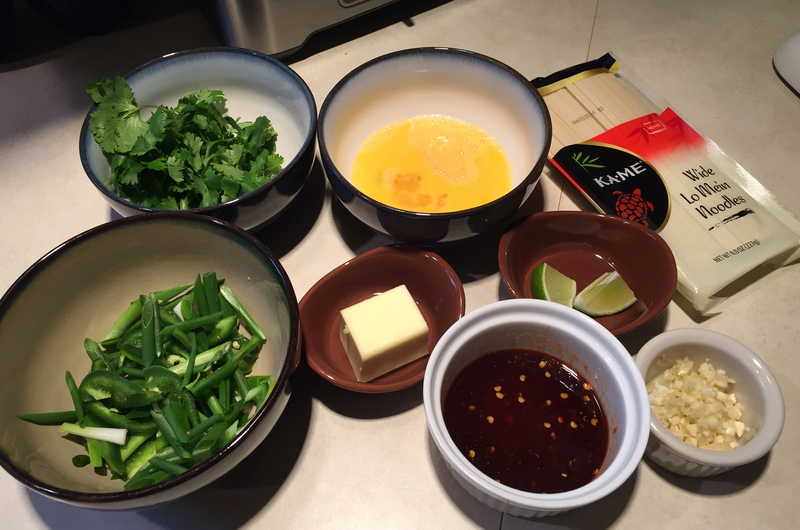 Cover to heat through and stir lightly to incorporate. Add the cheese and stir one last time. Serve immediately. This recipe is a hands-down favorite in my family. My grandmother was Swedish, and her recipe was very similar to this. The kids request it about once a month. The key to making this a success is browning the meatballs until they have a really great crust, AND creating a proper roux for the gravy. If you rush it, the gravy will be flat and taste of flour and sour cream. Patience and a good eye are key. The recipe is a fair amount of work, but definitely worth the effort. Leftovers keep wonderfully. Mix the meat ingredients well by hand in large mixing bowl. Pat out into medium sized meatballs. 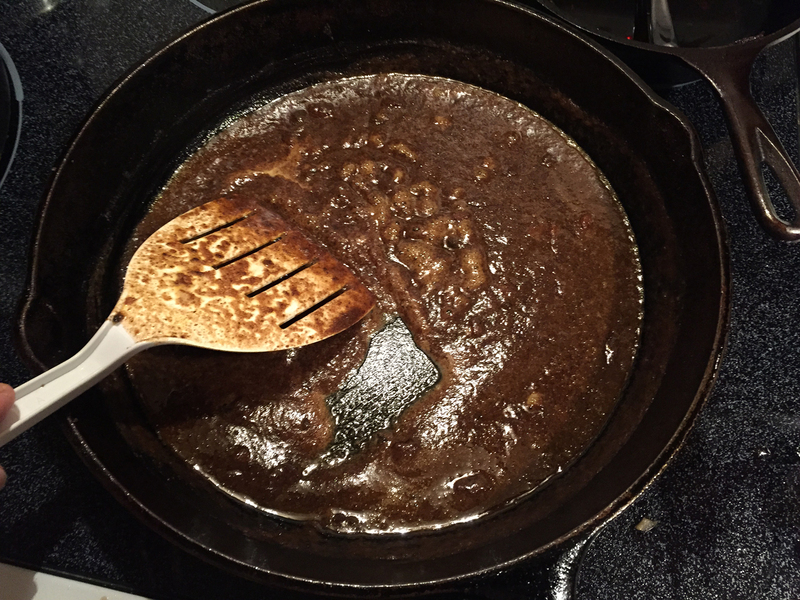 Brown well in a large, heavy cast-iron skillet, working in batches. Drain fat off and reserve. Place meatballs aside in Dutch oven, covered on low heat. Bake covered for 1 hour, stirring once at 1/2 hour. Remove from oven, stir and let stand for five minutes. 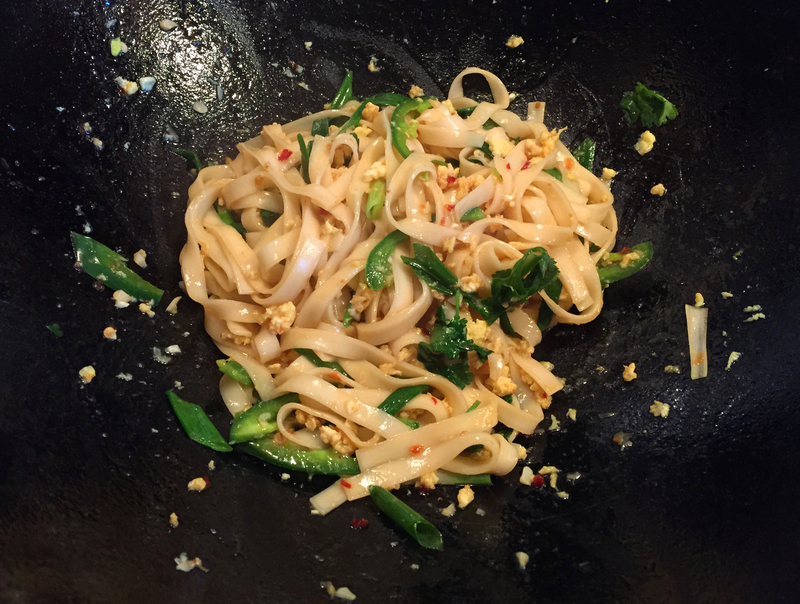 Serve over egg noodles. 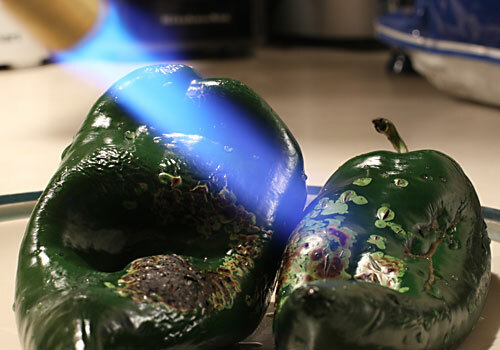 If you are delayed and need more time, you can reduce the heat of the oven after one hour to 200 degrees or less, with the same fantastic results. Brown the meatballs by working in batches. 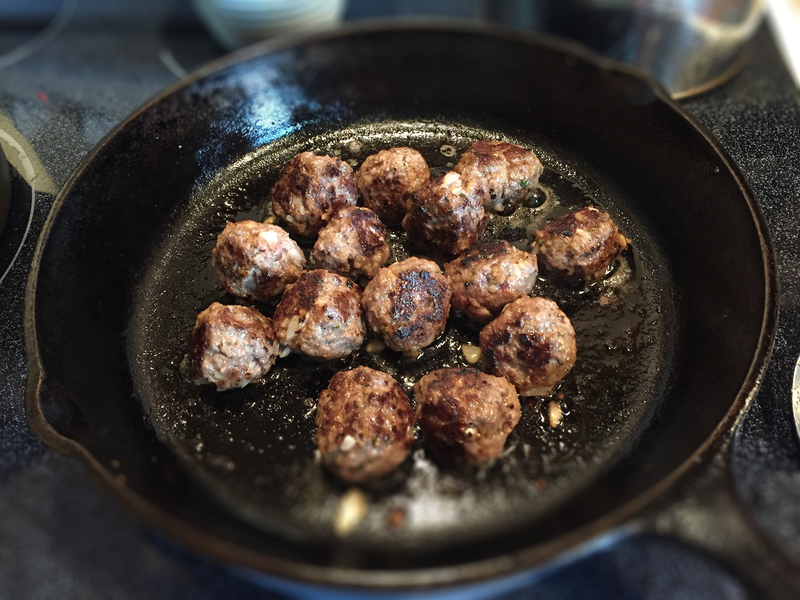 Two pounds of ground chuck will yield about three pan’s worth of one-inch meatballs; roughly forty to forty-two. Note the nice browned crust, which really adds to the flavor of the gravy made in the next step. 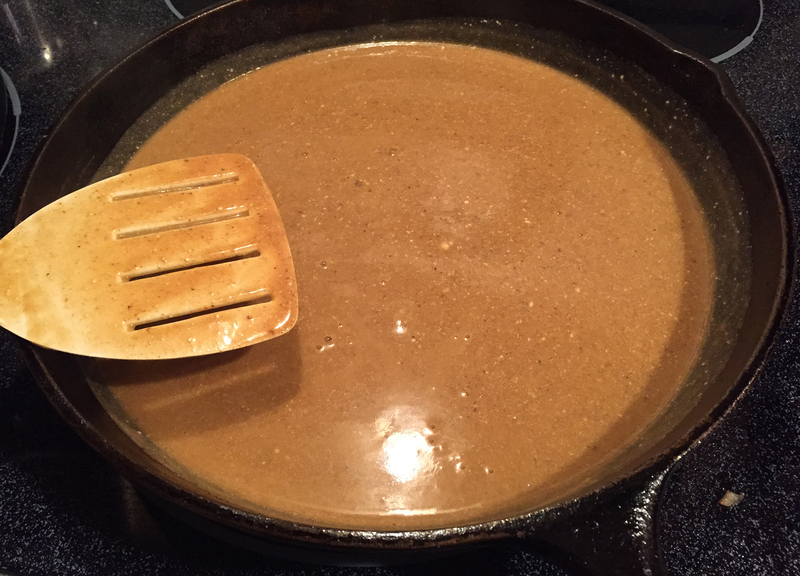 Time and patience are needed to prepare a proper roux. The dark color comes from the browned flour and crusty bits left over from the meatballs and onion. The rendered fat is liquid gold, so make sure you save a few tablespoons for the gravy. Wait to season it until you prepare the gravy, so you can check and adjust the flavor. Leave yourself about a half hour to prepare the gravy. It should be reduced slightly and have a velvety sheen.